As the economy continues to rebound, it’s no surprise that we keep seeing an increase in the number of cars sold each month. Many automakers have reported record sales numbers in recent months as consumers become more able to purchase new vehicles, and no automaker has made gains as impressive as Toyota’s. 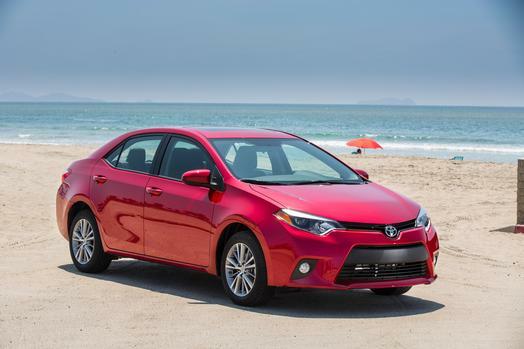 In fact, in July 2014, Toyota was the number one retail manufacturer, with sales totaling 188,469 units. In fact, July was so successful for Toyota that the automaker reported a 10.6 percent increase in volume sold from the same period in 2013. This was largely in part to the Toyota RAV4, which set an all-time sales record with a more than 37 percent increase. Other Toyota superstars included the Camry, which was up 15 percent with sales totaling almost 40,000 units; and the Corolla, which was up 26 percent with sales of close to 31,000. With the Camry getting a design refresh for 2015, and the introduction of the 2015 TRD Pro off-road vehicles, it won’t be a surprise to anyone if Toyota’s star continues to rise across the globe.